Whitby is full of interesting people. Through their daily work they help keep the town ticking and help make it a great town to visit. 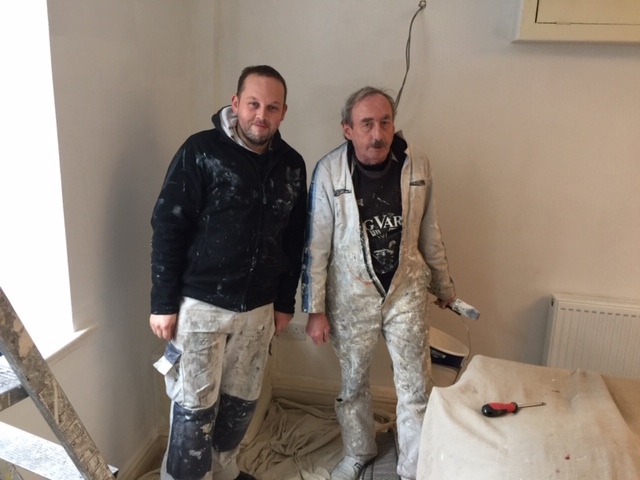 No – I have been a painter and decorator for 49 years in total but for just 22 years in Whitby. It is peaceful. When I lived in a town in the past there was lots of crime and drugs. It was just too busy and I wanted a quieter life so I moved to Whitby. Sorry – but it is tourists who don’t always behave as you might like. There has been a lot of house building and now we have more supermarkets! Most things are open all year now but I remember when the town was more or less closed for 5 months over the winter. I love fishing but I really don’t have much spare time – we are always busy. They will stay in Whitby because they are married to people from Whitby. My youngest daughter might move away because of her job. She works all over the world. One of my sons is also a partner in my business.